Although the experiment was carried out artificially, it clearly established that the change in gut microbes was involved with the disturbance of stress related developments. In that study carried out by the group of Yu, it was further found that the alteration of the stress related HPA-axis could only take place if the colonization of the bacteria occurred before the age of mice reached 6 weeks thereby suggesting an involvement with brain development that has potential longlasting effects. Besides, recent work demonstrates that the colonization of the gut by the useful microflora stimulates neurochemical shifts initiating signal transduction processes within the brain. In addition, such signalling pathways affect the downstream neuronal functions associated with the control of motor and behavioral patterns related to anxiety. 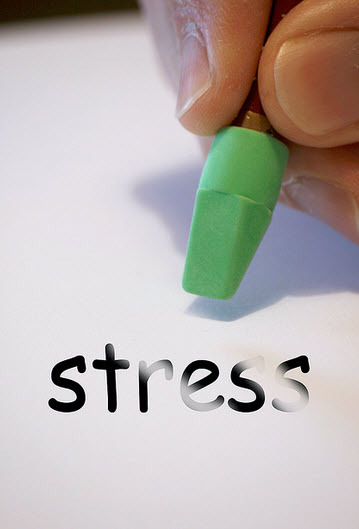 With the gut microbiota playing a defining role in the control of stress related emotions, it was tempting to contemplate the selective administration of probiotic strains in the improvement of stress related disorders thereby behaving as natural stress busters. One of the strategies could be the oral intake of such useful bacteria in the restoration of the microbial population within the gut. Messaoudi et al. has recently applied such a strategy to effectively use probiotic bacteria to human volunteers and found that the microbes could reduce stress. A combination of L. rhamnosus and L. helveticus were proven to be useful in the alleviation of stressed conditions through their ability to colonize the GI tract and causing normalization of the level of corticosterone. In a similar study, it was found that B. infantis oral intake could be effective in reducing depression. While the administration of B. longum inhibited the stress originating due to parasite mediated chronic gut infections. According to another study, L. reuteri administration caused a reduction in the levels of corticosterone in plasma with a resultant decrease in anxiety levels in the host who were exposed to stress previously. In a clinical trial among hospital patients it was found that the administration of supplements containing strains of B. longum and L. helveticus to volunteers for a period of 30 days seemed to reduce hospitalization related depressions and anxieties. Therefore, the use of probiotics in the therapeutic interventions in cases of stress has a sound background. In general, the key findings from the studies suggest that the probiotic supplement intake is beneficial and effective as stress busters that decreases anxiety, stress as well as play a role in improving the mood in individuals who are stressed but only moderately. In addition, the intake of the probiotic bacteria L. casei Shirota by healthy individuals showed significantly reduced levels of depression and stress scores as well as elated mood. Moreover, it should be kept in mind that the continuous exposure to stress conditions might cause a shift in balance of the beneficial gut microflora. The daily administration of probiotic products in individuals who are exposed to chronic stress levels can significantly improve their health status. The side effects of taking psycho-therapeutic drugs may be cases of severe impairment of memory. Hence, these drugs need to be replaced with the more natural and friendly probiotics like ‘probacto’. The aforesaid results suggest that the probiotic consumption can be a safe, secured and easy way to natural reinforcement against psychological diseased state mediated by stressed conditions. Although there are growing interests for the use of probiotics in the control and relief of stress in humans, their precise mechanism of action is still unknown to a large extent. Do they provide their beneficial activities in such cases through the modulation of the gut-brain pathway signalling modulations or there are other undefined avenues to be explored? The role of the probiotics to provide stress and anxiety relieving effects has now been addressed with some underlying mechanisms. The pro-inflammatory cytokines have well known involvements in depression related disorders. Now, the probiotics are known for their ability to modulate the host innate immunity and perturb the release of cytokines. The cytokine receptors present on the peripheral nerves results in sending signals of inflammation to the brain which then induces responses of depression and stress. The pro-inflammatory cytokines also gain access to brain via certain transporters present at the blood brain barrier. Other pathways might involve the IL-1 receptor activation which is present on the brain endothelial cells through the cytokines present in the circulation. Interestingly, there were several reports for the attenuation of inflammatory responses by the strains of bifidobacteria and lactobacilli. Recently, it was shown that B. longum and L. helveticus alongwith L. rhamnosus administration resulted in reduced cytokines (pro-inflammatory) within the recipients. Some of the decreased cytokines include IL-6, IL-1α, TNF-α and IFN-γ as also there was a concomitant increase in the levels of IL-4 and IL-10. Therefore, the beneficial effects of these probiotic bacterial strains can be described partly due to their anti-inflammatory responses. There are also reports to suggest that the probiotics even possess stress relieving effects independent of their pro-inflammatory roles. The probiotics can effectuate its positive influence on emotions through glycaemic regulation. There are enough evidence to suggest a positive role of the probiotics in providing relief against stress and related disorders and hence can be used as natural way of intervention to the problem.